It uses the shell stitch, which I learnt from this brilliant tutorial by Sarah-Jayne at Bella Coco. I think the stitch is really cute, making it perfect for a baby blanket. I’m really not a fan of the whole ‘blue for a boy, pink for a girl’ thing, so I wanted to choose colours which could work for either a boy or girl. I used Stylecraft Special DK in lemon and spring green, which went together really well. It’s folded here, but I made it a car seat blanket size – around 40cm x 52cm. It’s not a large blanket, but I figure that’s just an excuse to make more blankets as baby grows! 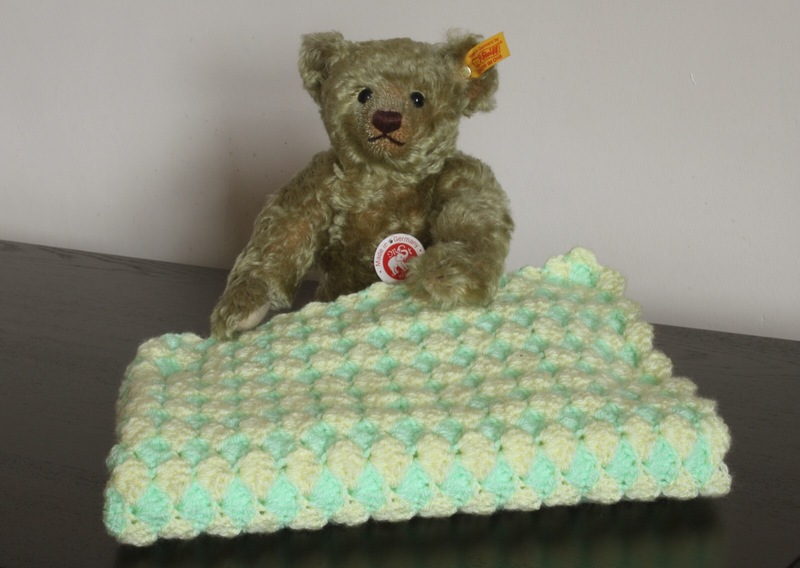 Have you ever made a baby blanket? I’d love to hear your favourite colour combinations.